1922 Birth of a hairdressing legend in St Tropez. 1938 Apprenticeship with Antoine, his master, in Cannes. 1942 Meets Begum Aga Khan. 1944 Meets the Duchess of Windsor. 1952 Arrival in Paris – Association with the Carita sisters. 1957 Opens a Salon in Rue du Faubourg St Honoré. 1957 Founds the Alexandre de Paris Brand. 1958 Jean Cocteau designs the brand’s logo. 1963 et 1969 Oscar of fashion. 1979 Moves into 3 Avenue Matignon – Paris. 1978 à 1983 World chairman of Intercoiffure. 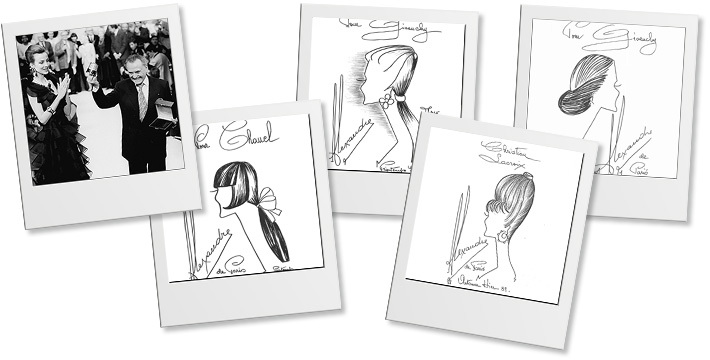 1979 Venus of Fashion for Jean Paul Gaultier hairstyles. 1980 Awarded the Legion of Honour. 1990 The Alexandre de Paris salon bought by Michel Dervyn. 2002 The brand bought by Michel Dervyn. 2008 Death of Monsieur Alexandre. All set for a lively and amazing destiny, the talented pupil Alexandre began to learn using the scissors with Master Antoine in 1938, in Cannes. He very soon became the “first boy” in the salon. 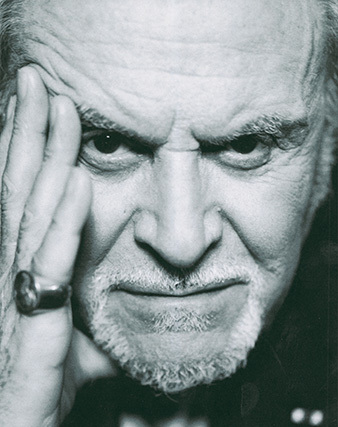 With his longstanding passion for hairstyling, he set up in Paris and created his brand in 1957 at his first address, 120 Faubourg Saint Honoré. His arms designed by his friend Cocteau put his stamp on the start of this adventure. His second salon at 3 Avenue Matignon opened in 1975. Before long it was the only salon worth knowing in Paris. At this new address, he continued dressing the hair of the Duchess of Windsor, then of the Comtesse de Paris, who recommended him in all royal houses of Europe. Film stars swore by no one else, starting with Elisabeth Taylor, Sophia Lauren and Romy Schneider. All of them remained faithful customers and friends. Monsieur Alexandre worked, designed and styled for the Comédie Française, the Opera, the great theatres of Paris, the cinema and the catwalks of the greatest couturiers. Appointed world chairman of Intercoiffure for over 15 years, he was awarded the Legion of Honour in 1992. Nicknamed the “prince of hairdressing” and considered above all as a styling artist, he was a standard-bearer of “haute coiffure”. His famous artistic French pleats were his trademark. He could innovate and transform any style because of his love of hair, the precision of his gestures and his perfect mastery of shape. The talent of Alexandre de Paris enhanced all the hairstyles of the world of fashion and stardom for over 50 years, for all the gala evenings and the grandest weddings. His name became a byword for French elegance through his elaborate and still unmatched techniques. 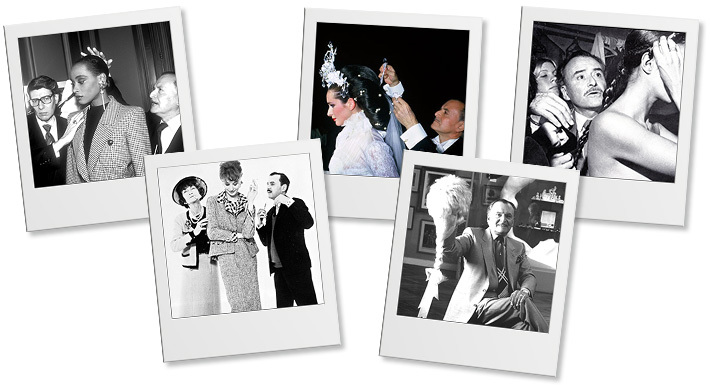 Today the name of “Alexandre de Paris” has spread across the world and always stands for perfection in French coiffure.